The Wincore 5400 window is the entry-level vinyl replacement window that comes standard with an attractive contoured frame, double pane glass, low E glass and argon fills, a constant force coil spring balancing system, a sloped sill, U channel spacer, cam locks and contoured grids. The window is available in exterior frame colors that include tan, clay, and white. Consumers can choose from a variety of grid options that include Colonial, Prairie and Perimeter. The 5400 also offers three decorative glass options that include a tinted gray, obscure and tinted bronze. The 5400 series is available in a picture, bay, bow, slider, double hung, venting slider, as well as several geometric shapes. Consumers can expect the Wincore 5400 to range in price from $30 - $40 per square foot for the window itself. There are a number of different variables that will affect the window cost, including the size of the window, the window glass upgrades, as well as any hardware or component upgrades that you opt for. Comparable replacement windows include Simonton 5300 window prices and Milgard Tuscany window costs. The Wincore 5400 double hung with a low E should deliver a U-factor of .34, SHGC of .25 and a VT number of .44. These are not very impressive numbers and consumers might be better served to try to stretch into the Wincore 7700 series for the slightly better numbers offered. 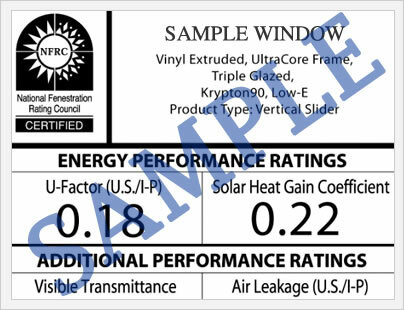 The Wincore vinyl window warranty includes a lifetime provision on all vinyl components against flaking, blistering, peeling or corrosion. Exterior frame coatings are warranted for a period of 10 years. The insulated glass unit on both the 5400 7700 units are warranted for 20 years, after which the company will pay 75% of the replacement cost until year 20 and 50% of the replacement cost from years 30 to 50 after the date of purchase. The Wincore warranty is transferable to one additional owner, although they must notify the company of the transfer within 30 days and pay a $50 transfer fee. 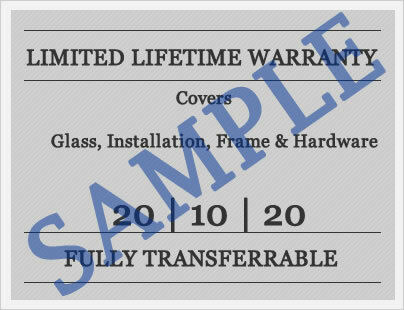 This is a relatively common requirement for a transferable vinyl window warranty. Wincore does not cover any labor cost to remove the window or to have the replacement window installed. As with all window warranties, the Wincore warranty does include number of limitations and exclusions that we would urge consumers to read in order to more fully understand the provisions included and more importantly what is not covered. If you have purchased a Wincore 5400 series window in the past I would like to tell others about your experience, whether it be good, average or poor, please do so here. We would love to share your experiences with the online world. If you have a question for our site editors, Jim and John, they are more than happy to answer any of your questions on Wincore products or any replacement window or new construction that you are considering.